Breiter Planet Properties expected much of Western Massachusetts to fill up quicker than Eastern Massachusetts. 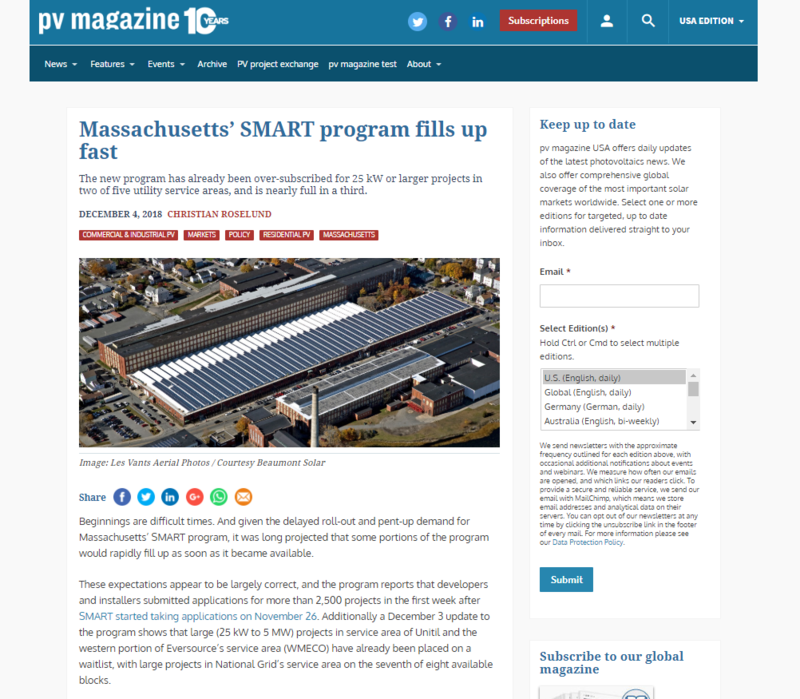 Over the past few years of planning for the SMART Program, there were a lot of projects being developed throughout the state in preparation for the program launch. There is still plenty of opportunity for commercial solar development projects to be developed but there is definitely a first mover advantage to this program. We are here for property owners across the Commonwealth of Massachusetts to qualify your site and establish the best option. Most of our customers are coming to us with lots of open space, forest land, or open roof space. With our expertise we can assess your site and recommend the best solar option and engage the best solar partner for your project. We are here for you to monetize your properties and leverage the SMART Program while it still has incentive blocks available.